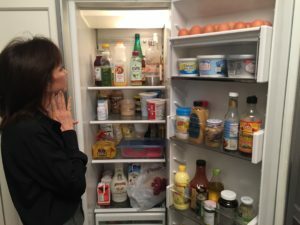 When was the last time you stood in front of the open refrigerator or pantry looking for something to eat? 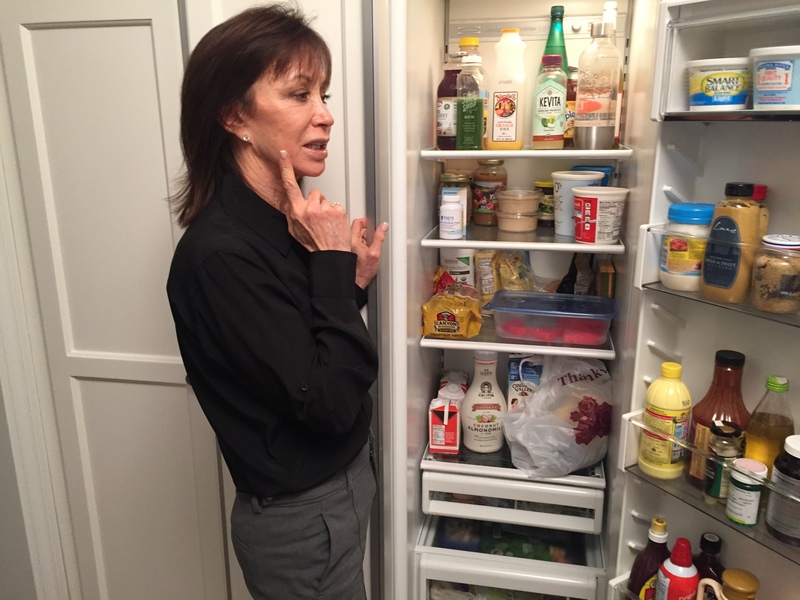 When was the last time you stood in front of the open refrigerator or pantry looking for something to eat? I imagine you were looking for something to satisfy your hunger … Was it a true, physical hunger or were you looking to satisfy a need that food can’t address? We don’t always eat to address physical hunger. We turn to food for comfort, stress relief and to reward ourselves. If you have ever turned to food in an effort to check out or numb yourself to uncomfortable feelings, you know that such behavior doesn’t fix the problem — not only does the issue you were avoiding remain, the guilt and possible shame over your behavior adds another problem to the mix. Overeating occasionally in order to feel better, reward yourself or celebrate is not a bad thing. However, when your first impulse is to open the refrigerator or pantry whenever you are upset, stressed, bored, or exhausted, you are creating a cycle that only serves to be self-defeating. Emotional hunger is never satisfied in the kitchen. Can you answer yes to any of these questions? ♥ Do you eat when you are stressed and then stress over what you have eaten? ♥ Do you eat when you aren’t hungry and continue to eat when you are full? ♥ Do you reward yourself with food? ♥ Do you feel powerless and out of control around food, not trusting yourself to stop when you have had enough? Although emotional hunger is powerful, you CAN learn to recognize the difference between true physical hunger and emotional hunger, which often leads to overeating and feelings of guilt and shame. ♥ Emotional hunger appears suddenly. It may feel overwhelming and you want to react instantly. Physical hunger comes on gradually, allowing you to take time to make empowered choices regarding what to eat. ♥ Emotional hunger has you craving comfort foods, usually the fat or sugar laden foods that create an instant rush of “feel good”. You feel as if you need the pizza or cheesecake. Physical hunger is satisfied with almost anything – even vegetables. ♥ Emotional hunger leads to mindless eating. In an effort to check out, you can finish a bag of chips, or two, or a pint of ice cream without paying attention or even fully enjoying it. You aren’t satisfied once you’re full and will keep eating even if you’re uncomfortably full. Eating in response to physical hunger allows for awareness and you can stop when you have had enough. We eat for many different reasons. What triggers you? ♥ Learn to identify those triggers and pause before you react. ♥ Honor your need to check out but know you can develop healthier coping strategies. ♥ Make physical activity a priority. You need not punish yourself in the gym; gentle movement that you enjoy is the way to honor yourself. ♥ Allow yourself to unwind and relax. If you need help doing this there are wonderful apps available to help you do this. (Ask me for my favorites). ♥ Ask for support from a trusted friend, family member or healthcare professional. Re-framing what you see as negative to something that can drive you towards a more positive approach to your situation can be life changing. Be that change. This is the Fifty Plus Life.